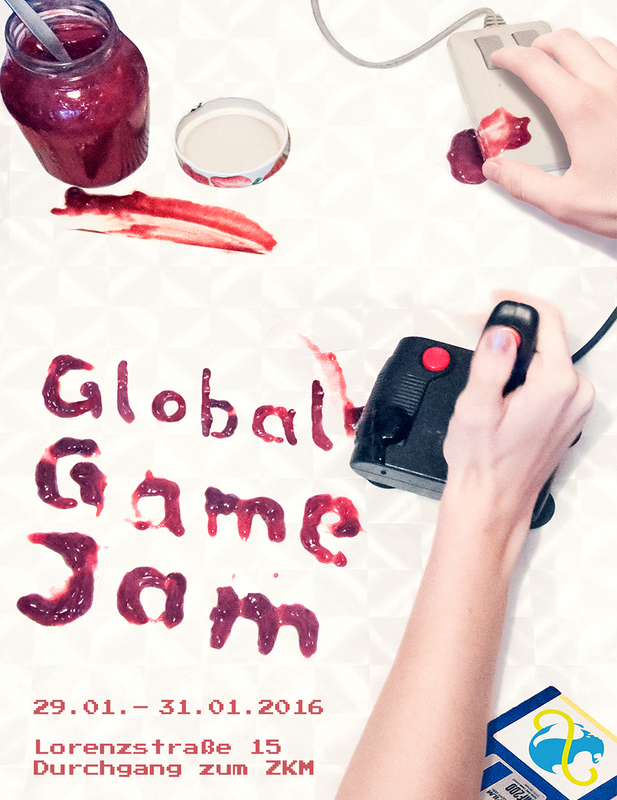 29th – 31st of January 2016 was the fourth Global Game Jam in the halls of the HfG Karlsruhe School of Arts and Design, where young and experienced game designers work together for 48 hours on individual projects with the goal to finish a fully functioning game. Every year there is a new set theme, which is announced only shortly before starting shot. 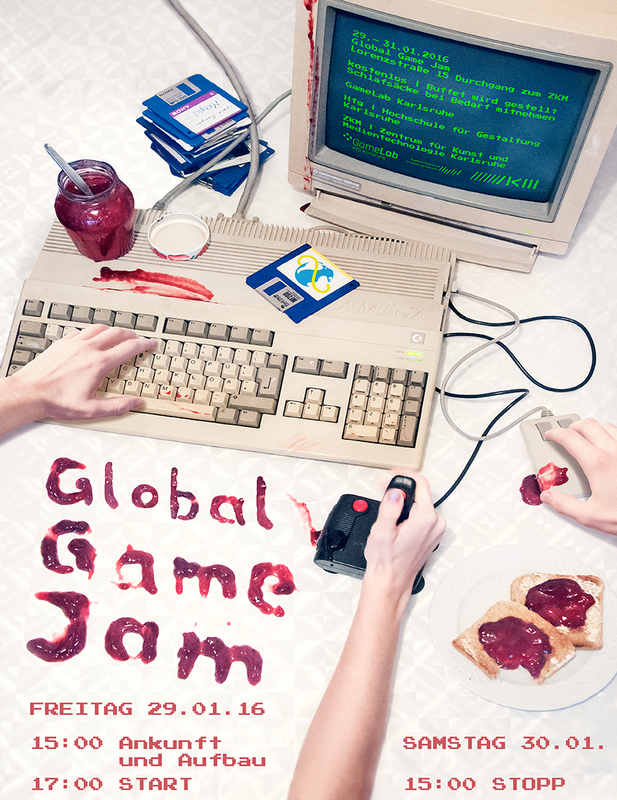 The flyer and poster design was focussed on the ambiguity of the word ‘jam’. A new font was created with jam and the game design aspect portrayed with old computer screens.